Let's toast to shadows that get you feelin' ready to party! 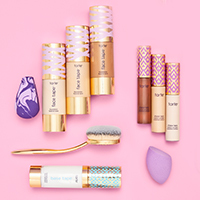 we're celebrating our tartelettes with 12, all-new warm & cozy shades that they've been begging for! Use your favorite shadow brush to create your own custom blended bold or more subtle looks suited for any occasion. 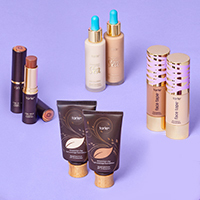 Includes a step-by-step tartelette guide for creating smoldering, versatile looks perfect for any celebration – big or small. Need a new eyeshadow brush to use with this palette? Try the rule bender double-ended eyeshadow brush. 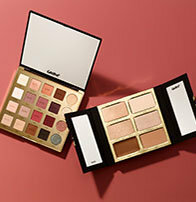 One palette, limitless looks – it won’t take long for this super pigmented, wearable collection of warm tones to become the “desert island palette” in your makeup stash. s'more Ingredients: Talc, mica, silica, boron nitride, zinc stearate, ethylhexyl palmitate, kaolin, magnesium aluminum silicate, montmorillonite, phenoxyethanol, sodium dehydroacetate, sorbic acid, titanium dioxide (CI 77891), iron oxides (CI 77491, CI 77492, CI 77499). sunrise Ingredients: Talc, mica, ethylhexyl palmitate, boron nitride, zinc stearate, caprylic/capric triglyceride, caprylyl glycol, hexylene glycol, kaolin, phenoxyethanol, silica, sodium dehydroacetate, vanilla planifolia fruit extract, vanillin, iron oxides (CI 77491, CI 77492, CI 77499), titanium dioxide (CI 77891). 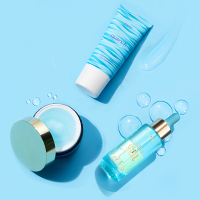 sunset Ingredients: Mica, talc, caprylic/capric triglyceride, zinc stearate, glyceryl behenate, oryza sativa (rice) extract, dimethicone, alumina, aluminum dimyristate, caprylyl glycol, disodium stearoyl glutamate, ethylene/acrylic acid copolymer, hexylene glycol, kaolin, lauroyl lysine, phenoxyethanol, poloxamer 338, silica, sodium dehydroacetate, tin oxide, triethoxycaprylylsilane, vanilla planifolia fruit extract, vanillin, iron oxides (CI 77491), titanium dioxide (CI 77891). 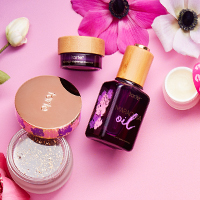 crackle Ingredients: Talc, mica, synthetic fluorphlogopite, silica, boron nitride, zinc stearate, ethylhexyl palmitate, caprylic/capric triglyceride, caprylyl glycol, hexylene glycol, kaolin, phenoxyethanol, sodium dehydroacetate, vanilla planifolia fruit extract, vanillin, carmine (CI 75470), ultramarines (CI 77007), iron oxides (CI 77491, CI 77492, CI 77499), manganese violet (CI 77742), titanium dioxide (CI 77891). cashmere Ingredients: Mica, talc, silica, boron nitride, zinc stearate, ethylhexyl palmitate, caprylic/capric triglyceride, caprylyl glycol, hexylene glycol, kaolin, phenoxyethanol, sodium dehydroacetate, vanilla planifolia fruit extract, vanillin, iron oxides (CI 77491, CI 77492). Beautiful every day palette. A little goes a long way with this. It is nothing to sau about this palette! The palette is perfekt for everyone. And it smells like cupcakes! Amazing!! Um so yah this is AMAZING! It is pretty expensive, but WORTH IT! 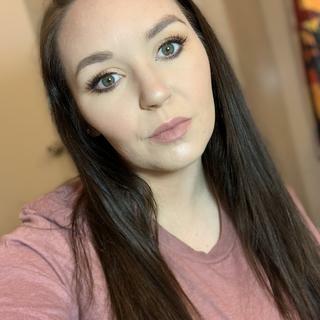 I bought this palette to broaden my horizons and start trying warmer eye looks, and it absolutely didn't disappoint. In the six months I've owned it I've tried so many different new looks, and it's so easy to switch up shades and finishes! Latte and fireside blend for the perfect smokey eye, and candle is the best inner corner highlight I've ever used! This palette is so pretty! It has a wide range of colors for day and night looks. 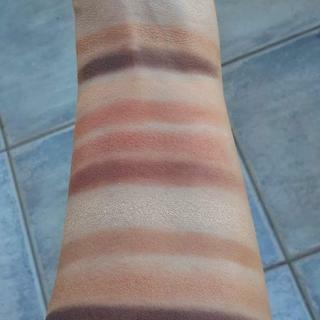 It’s a very warm palette and is definitely a go-to in the summer! The colors blend nicely, and I like how it has mattes and shimmers. It’s also a good size for travel. So amazing , you Wont regret this purchase! I love this palette its the best ! The colors are pigmented ,very buttery and soft I just love these colors they go so great together and blend amazing as well. This may be my all time favorite color story of any pallet! The awesome texture and smell are just another bonus! What a pigmented palette ! I use this palette everyday : to go to school with a natural makeup as well to go in parties, with a shinny makeup -> perfect for every occasion !! Absolutely perfect! Pigments texture colours. Highly recommend. Loving this palette and the shimmer it has. I love how this pallete can give you an everyday look or let's you spice it up for a night out. 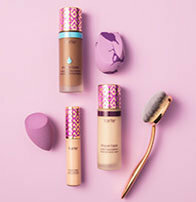 The pigments are amazing and stay all day without creasing! My friend suggested me to try this palette when I told her I am looking for palettes. This one is really easy to apply and its really buttery soft which I totally love. Stays for longer time also!!!!!!! This is a very good palette. 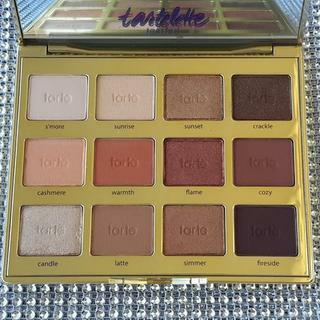 It is definitely my favorite Tarte palette because it blends easily and the colors are perfect. This is a very good every day palette because the colors are neutral. Just be careful not to drop it because they do break easily! I would recommend. I wish I had gotten this sooner; it’s a fabulous palette. Great eyeshadow palette the shades are all of good quality a few make fallouts but if you are careful or do your complexion last there's no problem! I am a huge fan of this palette, I love that I can create multiple looks with it, it’s small for traveling. The formula is great super blendable!! So versatile! I use this palette everyday!! This palette is great for those with green eyes who love warm tones! I especially love it in the fall to create sparkly but wearable looks. This palette is beautiful and versatile! I love the formula of both the shimmers and the mattes. Got this during the Ulta spring beauty steals sale. I didn't need another palette, but some of the reddish bronze colors were so pretty. 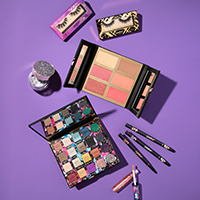 It looks great, the colors aren't as bold as other palettes, so it great for day and night. This is by far the best eyeshadow palette I love it! 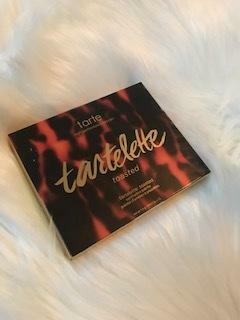 This is the first tarte eye shadow palette I’ve had and I LOVE it!!!!!! As someone with little talent when it comes to applying make up its so easy to use, it looks amazing with little to no effort. Can’t wait to purchase others. I got this eye shadow pallette right before christmas and I love using it. It's so pigmented and you can make nice looks with it. 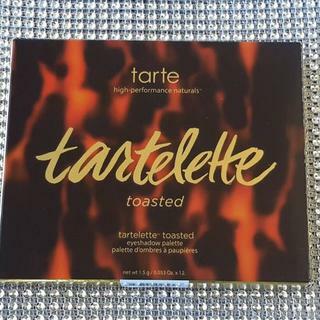 I really like the Tartelette Toasted eyeshadow palette. 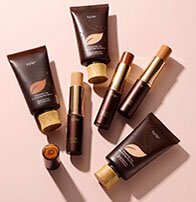 It has great shades for any skin tone. I also love the way the shades are set in the palette because it flows nicely and makes it easy to determine which shades would blend well together. I received this palette as a gift and I love it. At first I didn't know how the red-ish hue tones would look on me, but they look great. 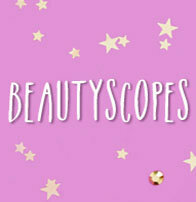 Colors are super blendable and it has a great mix of shimmers and mattes! I found the formula creamy, pigmented, easy to blend, and you don't need much to achieve the coverage you want. It outperformed the Too Faced palettes by far, which is what I used before. 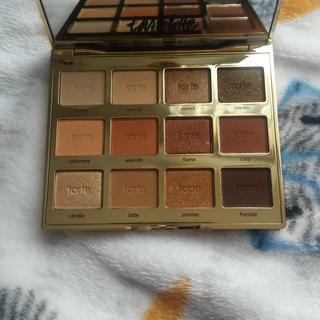 This is my first Tarte palette, Im so glad I purchased It, I love the eye shadow colors and the smell is Amazing! Took the picture in Natural Lighting. Love the colours and this palette has great pigments. Love it! Smoky eyes for me! Matte or pearl, little bit of sparkle. Works with my hair and also great with my red wig! Love the reds in this pallet. I absolutely love this warm toned palette. I love this combo of mattes and shimmers. Is super wearable for everyday use. This palette is super creamy and blendable and smells kind of chocolate. The best eyeshadow box I have ever had! Love it ? such a lovely palette! arrived with 3 of the shades cracked but the friendly customer service team were able to sort out a refund due to having no more in stock! 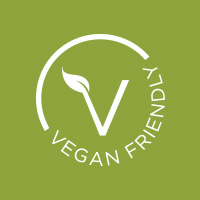 purchase from here all the time and will definitely be continuing to shop here. Just tried it today for the first time. I loved it!. Very pigmented and easy to blend. It stands out without making it too much for workdays. I love this palette! It is so pigmented and the colours are beautiful. The palette even smells like cupcakes! Amazing! The colors are everyday perfect! Very blendable and silky! This palette has the most beautiful warm tones. The pigment is brilliant and goes onto the skin smoothly. Great palette. Just be wary it does look different on brown skin tones. I would recommend it to anyone who is looking for those autumn colours! This eyeshadow palette is amazing. Blends perfectly and stays on well! It’s perfect for a brown Smokey eye look. The quality is awesome and it even smells amazing! I will definitely continue to purchase this palette. Love this palette. The eyeshadow formula is beautiful and they blend so well. It’s a great warm toned neutral palette and a staple for anyone’s makeup collection. It had colors I liked! Cannot wait to play with this! Lovely colors, perfect for some summer looks! Have been looking at this for a while and finally decided to try it. Love this palette! I recently lost mine and needed it back in my life. Those are my favorite tones & I love how your eyeshadows blend so well. Love the pigments love the colours love it!! My daughter asked for this for her birthday. Beautiful quality. Colors are beautiful. Had to buy another. 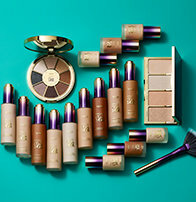 I love the color palette and tried it at Sephora. I’ve heard great things about this palette. The warm colors in this pallet is beautiful! The colors look beautiful. Perfect for any season. Easy to travel with. I bought this because I like the warm shades in this palette. And because I have seen the quality and I think it’s worth it. I saw many people’s review. Is there any way I can buy the shade candle individually? Or something similar? No, but you can pop out the shade and put it individually in a magnetic palette! CAN i buy replacement eyeshadow colors that I use the most?!? 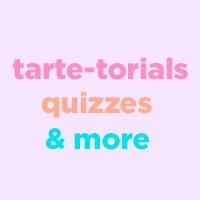 BEST ANSWER: At tarte, we only formulate with cosmetic grade talc (approved by the food & drug administration) – a grade of this natural mineral that meets very high levels of quality and purity standards – and we utilize the smallest concentrations necessary to maintain our high-performance aesthetic properties. Every single product has a list of ingredients. Yes, it’s listed in the ingredients. Yes it is in the ingredients! Do these pop out to be placed in the magnet case? BEST ANSWER: Yes, these shadow pans are removable & magnetic! can these be used wet? Yes. I use the shimmer shades wet all the time. What is the size of each shadow?